Moogahlin Performing Arts through the Yellamundie National First Peoples Playwriting Festival is proud to present the Yellamundie Collection in association with Australian Plays. Yellamundie National First Peoples Playwriting Festival identifies, develops, and presents new First Peoples writing for the theatre. Yellamundie is a Darug word for ‘Storyteller’. In 2019 Australian Plays is delighted to offer a new Collection focused on the Australian theatre content in the Sydney Festival program. For the month of January, we provide free read access to the scripts of some key works in the exciting line up. We are really delighted to continue this partnership established with the Sydney Festival in 2017. This Collection is designed to align education resources and scripts as valuable companion publications. Australian Plays is delighted to collaborate with Malthouse Theatre on this new Collection, bringing together a selection of Malthouse Education Resources created for Australian plays over the past twenty years. The National Play Festival, produced by Playwriting Australia, brings theatre-makers, producers and audiences together in an annual celebration of Australian playwriting and theatre. This showcase brings together the scripts that have emerged through the Festival since 2008, accompanied by interviews with many of the featured playwrights. In 2017 AustralianPlays.org and Sydney Festival joined forces for the first time to offer free reading access to the exciting line-up of Australian playscripts featured in the Festival program. We are delighted to continue this partnership and will be offering this access once more for the 2018 program. Red Door is a bold new addition to Australian theatrical publishing. Brought to you by the Australian Script Centre, it is an evolutionary step in the organisation's longstanding tradition of collecting, promoting and distributing contemporary Australian playwriting. It chisels out a niche in the ASC catalogue where a curator’s passion for particular plays can be shared and celebrated, discussed, challenged and interrogated. The Playbox collection focuses on the ‘All Australian Period’ which began in 1990 .The Playbox texts are the legacy of a brave and passionate cultural experiment: an experiment that created a generation of artists. ***WITS on Australian Plays** highlights a collection of over five hundred playscripts amassed over nearly forty years. This online Showcase features the capacity to search for scripts written by women or containing significant and complex female roles. Our new database of hand-selected monologues offers a huge range of searchable options that will help you track down the perfect piece for auditions and assessments. You’ll find information on gender, genre, age and length, along with a short sample that provides a nice sense of what the piece has to offer. Visitors with an AustralianPlays.org library pass also have the opportunity to preview the full script online. The Keene/Taylor Theatre Project: In late 1997, director Ariette Taylor and writer Daniel Keene launched an independent theatrical venture that was to take the Melbourne theatre scene by storm. It began modestly with a couple of readings and developed over the next few years in to one of the most vital and interesting companies on the Australian landscape. An exciting showcase of Indigenous playwriting, developed under the artistic guidance of Indigenous writers and theatre-makers. BlakStage provides a starting point for a journey to the heart of this extraordinary and rapidly evolving body of work. You'll find pioneering early works alongside noteworthy newcomers, all grounded in ancient storytelling tradition. Hibberd’s body of work is a loud, joyful and brilliant noise; a journey that is still underway, and a legacy of enormous value to all of us who love art. 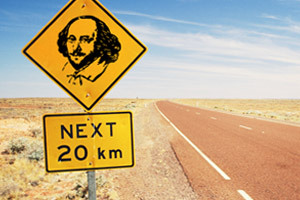 Shakespeare for Australian Schools presents ten plays by Ned Manning, which explore Shakespeare’s language, characters, themes and world in the context of the Australian landscape. They investigate the inherent theatricality in Shakespeare’s plays and how they might be relevant to Australian students. Western Australia is known for nurturing incredible talent across all the art forms and has produced many exceptional playwrights, among them Jack Davis, Dorothy Hewett, Ian Wilding, and David Milroy, to name only a few. The curated collection on this page represents a brief retrospective of 15 years of WA scripts that Stages financially supported in development. 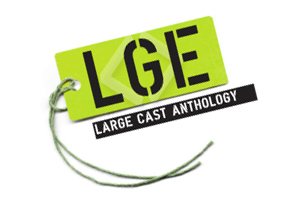 Large Cast is an anthology of eleven contemporary Australian plays, selected by a panel of two experienced drama teachers and a youth theatre director. The plays include a variety of comedies and dramas, a non-traditional musical, a fantasy and an ensemble storytelling piece. Cast sizes range from nine to 130 and often allow for considerable variability.